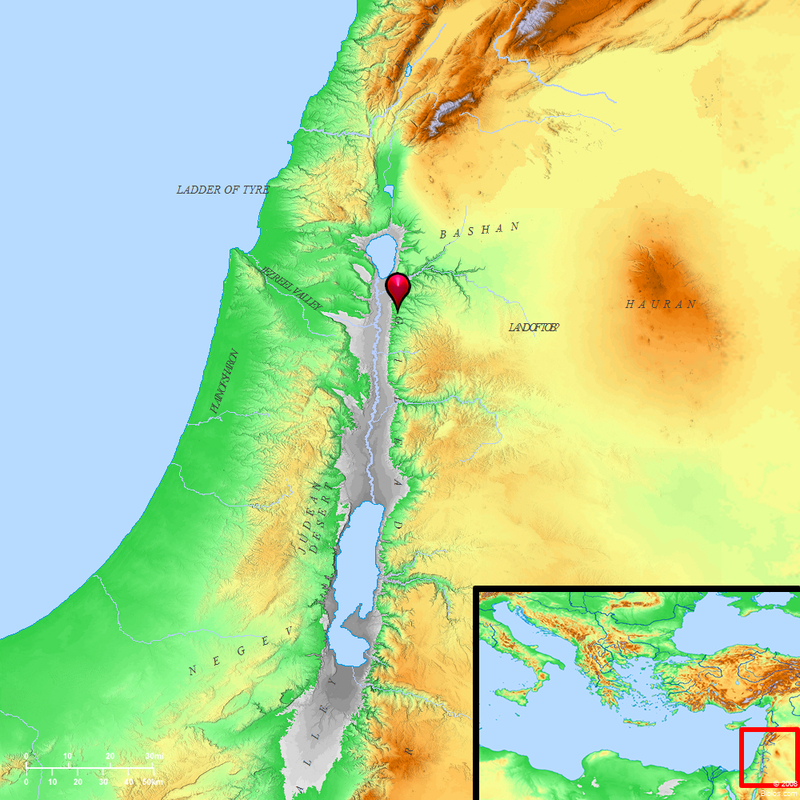 In the Final Week of Jesus’ ministry, Bethany and Bethphage (cities located on the slope of the Mount of Olives) are mentioned. It was from here that Jesus arranged for the donkey on which He would ride triumphantly into Jerusalem (Mark 11:1ff.). That final week would find Jesus walking back and forth from Bethany to Jerusalem. Fig close up at Bethphage. Photo © Leon Mauldin. And leaving them, he went out of the city to Bethany and lodged there. In the morning, as he was returning to the city, he became hungry. And seeing a fig tree by the wayside, he went to it and found nothing on it but only leaves. 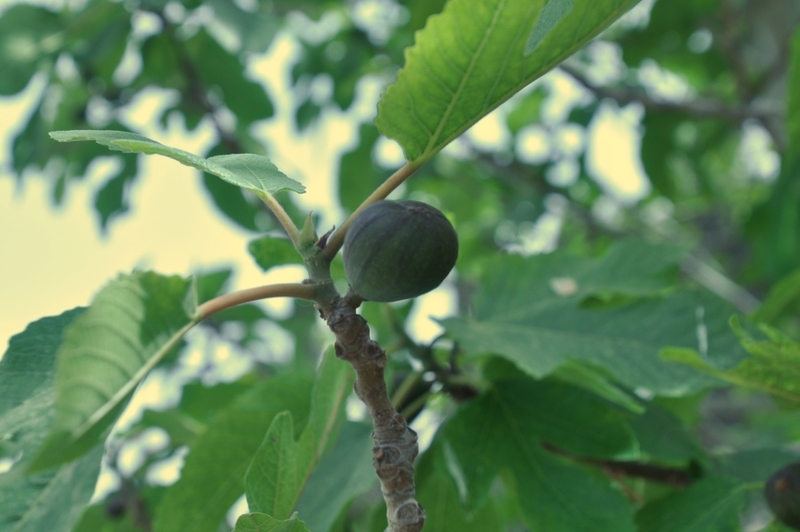 And he said to it, “May no fruit ever come from you again!” And the fig tree withered at once. (Matt. 21:17-19). Unlike our photo above, that fig tree in our text received a curse because though it had a pretense of leaves, it was barren; there was no fruit. This was a great object lesson for Jesus’ disciples. 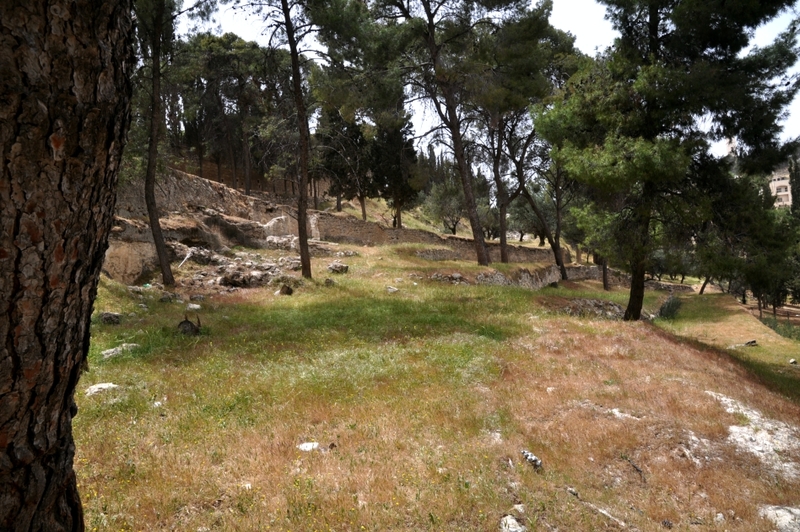 Here is a view of the terrain at Bethphage, with Bethany behind, and the Mount of Olives continuing to rise ahead. Bethphage. 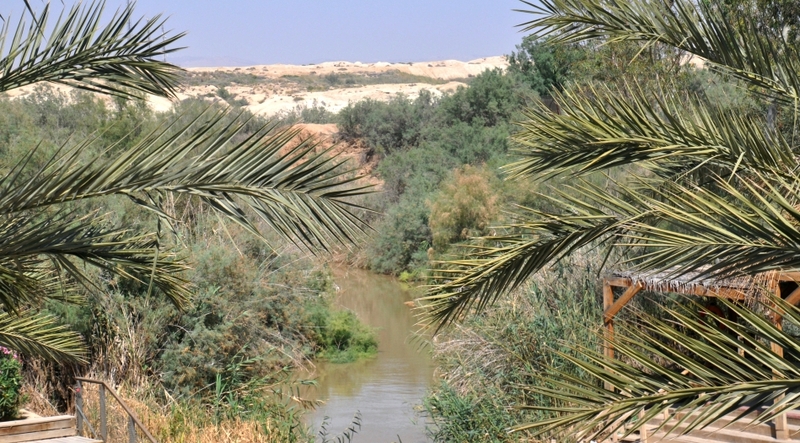 Jesus passed through this area during His Final Week of ministry. Photo ©Leon Mauldin. I was glad to have the opportunity to visit Bethphage yesterday. There are also several ancient tombs located there. David was described as the “sweet psalmist of Israel” (2 Sam. 23:1) and authored about half of the collection of the 150 psalms. 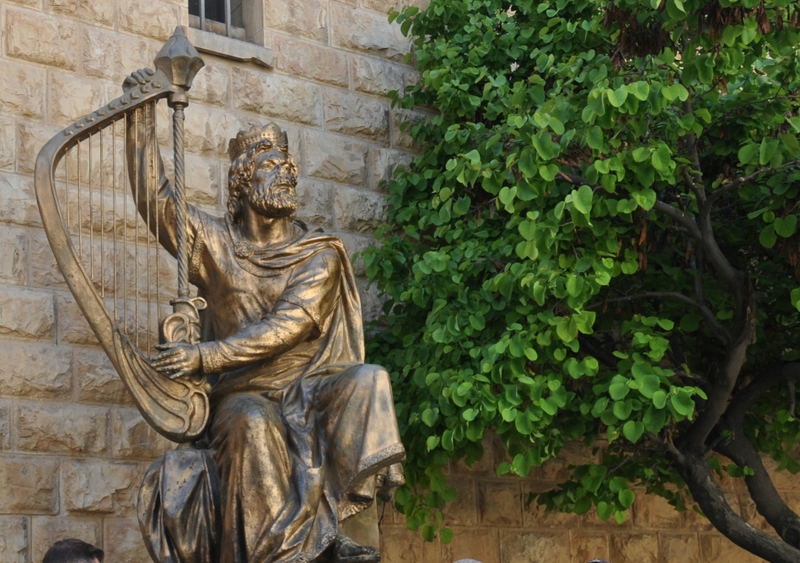 Sculpture of David near site of traditional tomb in Jerusalem. Photo ©Leon Mauldin. Approximately 2,000 years ago on the Day of Pentecost (Acts 2), Peter said, “Brothers, I may say to you with confidence about the patriarch David that he both died and was buried, and his tomb is with us to this day” (v.29, ESV). Yesterday I had the opportunity to visit the traditional tomb of David in Jerusalem. 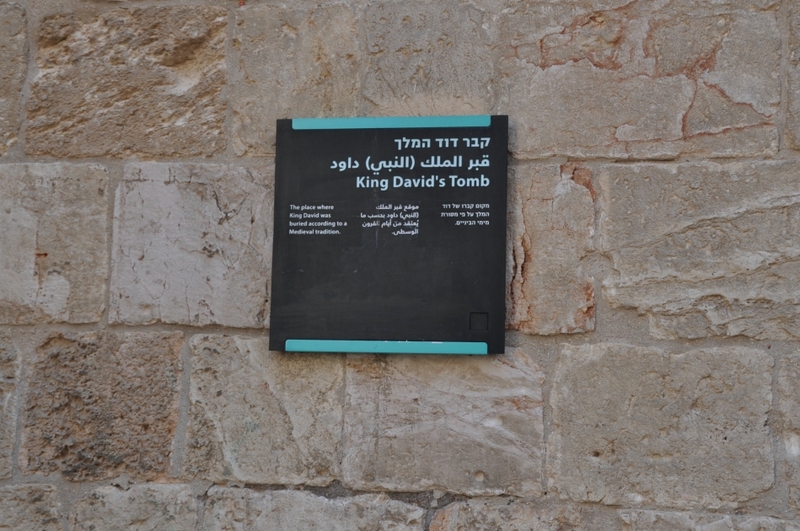 Sign designating David’s Tomb. Photo ©Leon Mauldin. 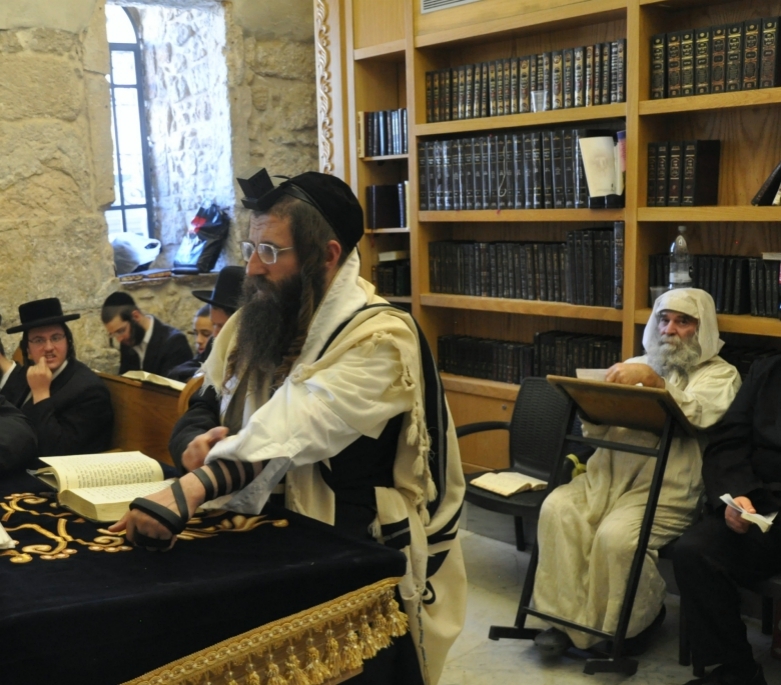 This location is said to be a pilgrimage for Jews, Muslims, and Christians. Inside is a massive cenotaph where visitors pay respect. 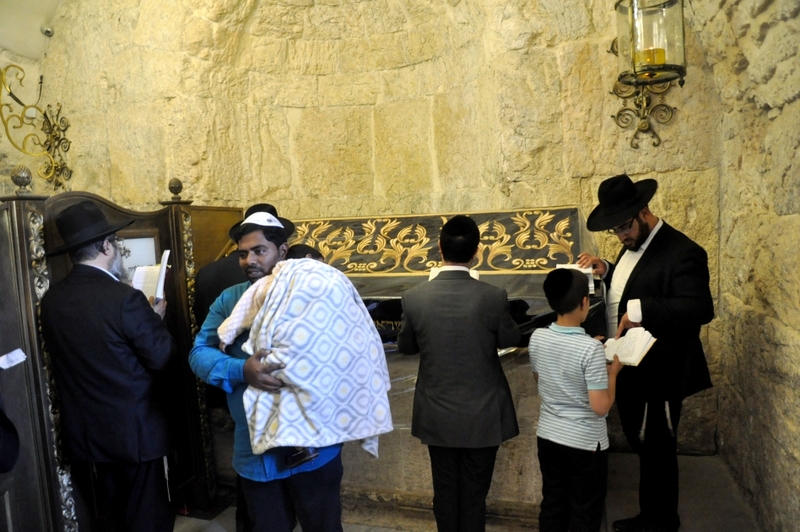 Inside David’s Tomb in Jerusalem. Photo ©Leon Mauldin. The adjoining room is dedicated to reading/study. Adjoining reading room. Photo ©Leon Mauldin. Another text referencing David’s death is Acts 13:36: “For David, after he had served the purpose of God in his own generation, fell asleep and was laid with his fathers and saw corruption” (ESV). In the 10th century a belief that David’s tomb was on the present Mount Zion began to develop among Christian pilgrims, who celebrated David’s memory along with that of St James, the first bishop of Jerusalem. The real point of the two passages cited in Acts above is that David, having served God’s purpose, died, was buried, and his body experienced decay. He was not the subject of those prophecies he uttered that spoke of a coming resurrection–he was speaking of the resurrection of Jesus, which is at the very heart of the Gospel message. Apart from the resurrection of Jesus there IS no Gospel! In the first century in Jerusalem Peter said the actual tomb of David could be seen. David had died, his flesh went through the normal decaying process. I like the old English translation of Acts 2:24 in the KJV, “Whom God hath raised up, having loosed the pains of death: because it was not possible that he should be holden of it. Where David’s earthly remains are today at this point is not of primary importance to one’s faith or salvation. 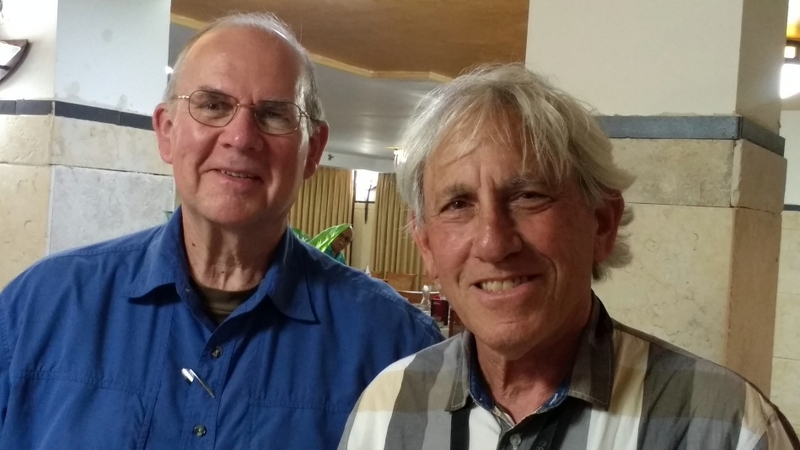 But the point was that it was certain that he could not be the object of those Messianic passages that foretold the resurrection–only Jesus could and did fulfill those resurrection prophecies! “From the time Amaziah turned from following the LORD, conspirators plotted against him in Jerusalem, so he fled to Lachish. But they sent assassins after him and they killed him there” (2 Chronicles 25:27, NET). Tel Lachish at center. View is from the southwest. Photo ©Leon Mauldin. 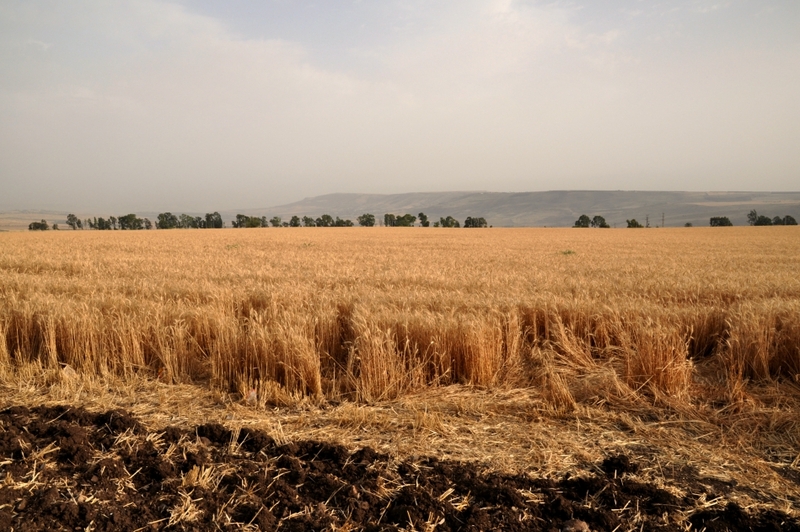 Our photo gives the geographical setting for the biblical text, which tells of the assassination of one of Judah’s kings during the “Divided Kingdom” period. Amaziah reigned 796-767 BC. He is described by one author as “a mediocre king who suffered the consequences of his compromises” (Shepherds Notes, The Kings of Judah, p.79). Later the city of Lachish would be one of 46 fortified cities captured by the Assyrian king Sennacherib, in 701 BC. 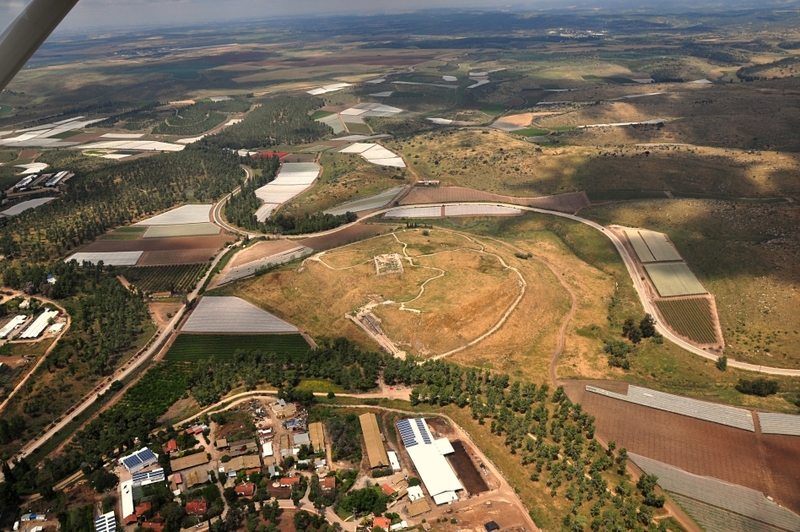 His siege-mound formed for that invasion can still be seen at the southwest corner of tel Lachish. 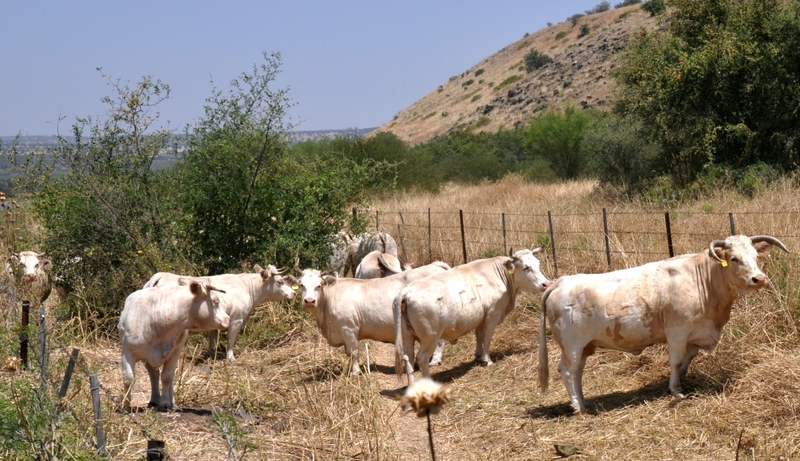 We previously wrote about Lachish here and here. This week I am enjoying the opportunity to present a Visualized Survey of the New Testament with the Mt. Olive church of Christ, in Mt. Olive, AL. Included in our studies is the book of Acts, in which we are told how the disciples were called Christians first in Antioch: “and when he [Barnabas] had found him [the Apostle Paul], he brought him to Antioch. For a whole year they met with the church and taught a great many people. And in Antioch the disciples were first called Christians” (Acts 11:26, ESV). Antioch of Syria, today’s Antakya. Photo ©Leon Mauldin. It is thrilling to read how that here at Antioch men were “preaching the Lord Jesus” (Acts 11:20). Further, “And the hand of the Lord was with them, and a great number who believed turned to the Lord” (v.21). Then the church at Jerusalem sent Barnabas to help: “When he came and saw the grace of God, he was glad, and he exhorted them all to remain faithful to the Lord with steadfast purpose.” A Christ-centered message, a Christ-centered conversion, and Christ-centered focus and purpose. Such key verses go a long way in helping us to see a biblical definition of a Christian! Our photo shows Antioch with bridge crossing the Orontes River in foreground. I took this photo in May, 2007. I have previously written on the biblical site of Antioch here and here. 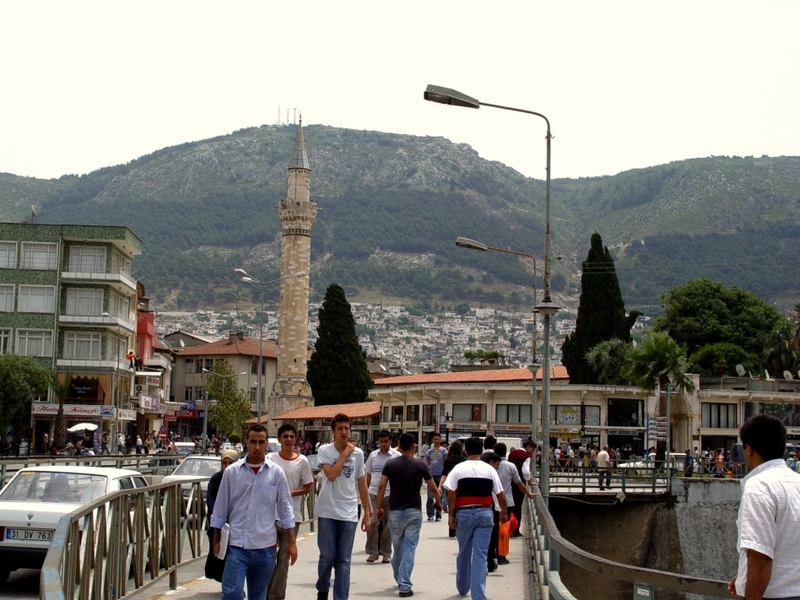 Antioch/Antakya is within Turkey, but is very near the Turkey/Syrian border. You are currently browsing the Leon's Message Board blog archives for April, 2017.